Meinl CC16DAH Classics Custom Dark HiHat 16"
CC16DAH Classics Custom Dark HiHat 16"
Meinl CC15DAH Classics Custom Dark HiHat 15"
The Meinl CC16DAH Classics Custom Dark HiHat 16" is a dark oversized HiHat pair made of B10 bronze. With excellent stick definition, an aggressive attack and a warm basic sound, it is ideal for powerful, loud and voluminous playing. Due to the wide sound spectrum and the high response, the Meinl Classics Custom Dark HiHat 16" is not only suitable for rock, pop and fusion drummers, but also for metal drummers. In addition, the exciting lathing pattern sets optical accents that are unique. The professional high-tech manufacturing and computer-controlled processes guarantee consistently high quality and longevity. 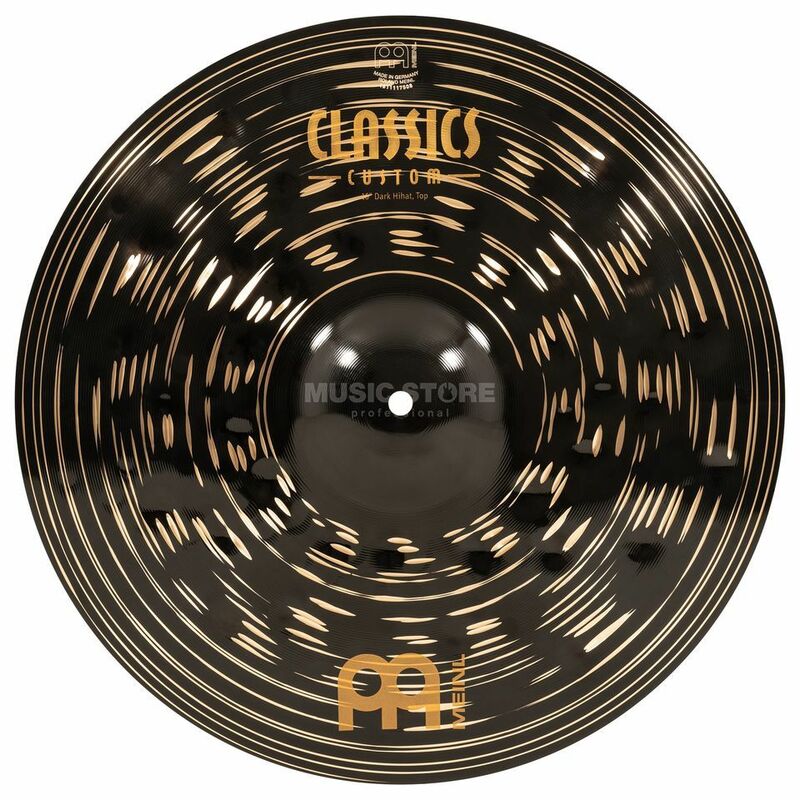 The Classics Custom Dark Cymbals owe their high quality standard to professional mechanical manufacturing. Computer-controlled high-tech processes guarantee consistently high quality. In addition, the use of high-quality B10 bronze provides an extraordinary basis for cymbal construction. The wicked appearance of the Classics Custom Dark cymbals is based on the rotation pattern, which immediately catches the eye due to the different colors of dark and metallic ring patterns. In addition to their unmistakable appearance, however, they also have audible advantages. The Classics Custom Dark cymbals have a particularly wide range of sound characteristics to offer. Deep, large hammer marks and the unique lathing process deliver the warm sound and at the same time a fast response with strong projection.